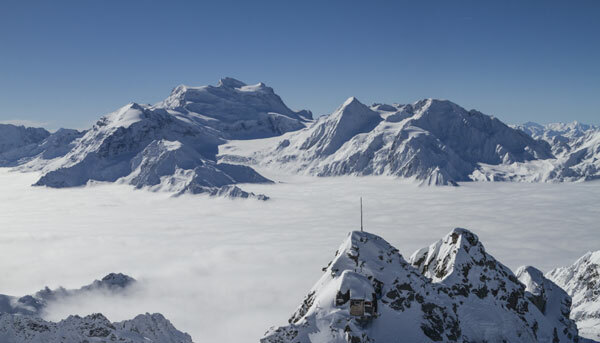 Not only is the Swiss resort of Verbier teaming with restaurants and bars but there are also over 400km of pistes and the same again off piste, with panoramic views including the Matterhorn and Mt Blanc. Verbier has, also, just renewed the agreement creating the 4 Vallées ski area for the next 18 years making it official: it’s still HUGE. Photographer, Melody Sky tells us why she decided to make her home and build her business here. Q. 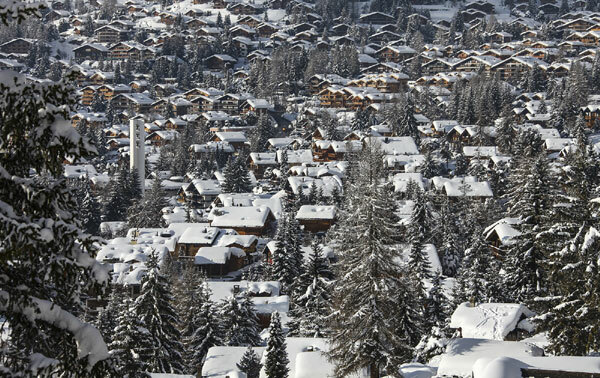 How long have you lived/worked in Verbier? I have been shooting film and photography here for 12 years now. Initially I planned to stay a year. I’m not very good at sticking to a plan. Q. So why do you think we should come to Verbier? 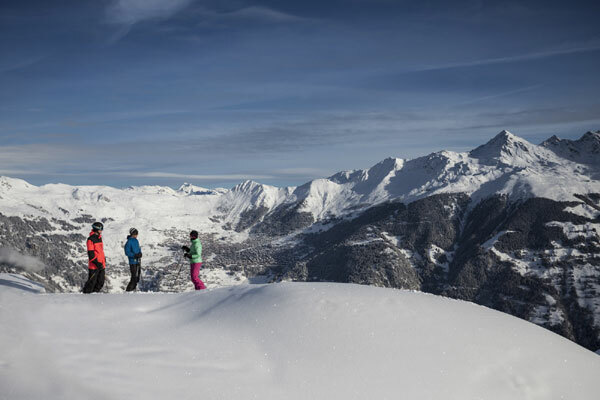 Verbier is a melting pot of people from all walks of life. It combines some of the best skiing in the world, a profusion of the most amazing Freeriders, an abundance of creative talent, the most modern to the most traditional of restaurants and bars and an eclectic mix of visitors. 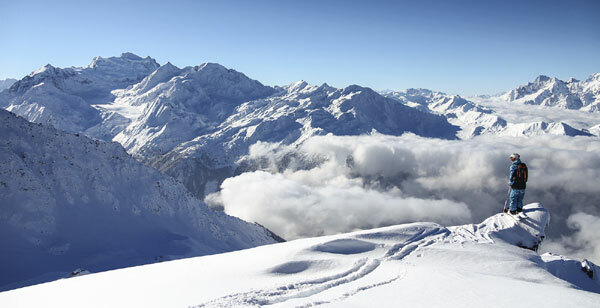 It boasts hundreds of kilometres of pistes and the same again in accessible off piste terrain. It has something for everyone. Q. Guess you know the resort like the back of your hand? What’s your favourite run? I think my favourite run on a powder day is the front side of Mt Gele, which not only has incredible views but has fun variable terrain to manoeuvre. Also, I like to get off the backside of Mt Fort to do the tour to the dam. It’s gorgeous, peaceful and calm with a massive area to ski. I love when you can’t hear anything but your own breathing and that’s what it’s like back there. Also Super Mouche is amazing on a powder day. There are too many to choose one run. Q. Where would you go for an adrenaline rush? I guess there’s a lots on the Back Side of Mt Fort. It’s not for everyone, and you should go with a guide. But there are some amazing hikes and lines back there. I get butterflies every time I go heli-skiing too. I love helicopters. So going over to the Trient Glacier or Petite Combin is pretty amazing. It doesn’t get much better. Q. What skis/board do you ride? I ride Volkl Freeride skis. For the last few years, every winter, I get the same model from them, but this year they have discontinued them, so I am now moving onto a ski called ‘One Pink’. They’re vibrant pink, so I’ll be easy to spot. Q. Where is the most awesome view? There are so many. I love the view from the top of the Mt Gele. It’s pretty spectacular and on days when you get an inversion cloud level, it’s just breathtaking. Of course, the top of Mt Fort, which is the highest lift accessible point in Verbier at 3330m, has an awesome view and has a good viewing platform. You don’t have to ski back if it’s a little out of your comfort zone. You can head up, snap a few shots and get the lift back down again. You can see into France and Italy with views of both the Mt Blanc and the Matterhorn. Q. Where will we find you when you’re not working (or sleeping)? This season, you will definitely find me in the new Nomad Sushi Lounge which is replacing the Nevai. The Nomad Sushi Lounge is run by the same crew that brought you the famous Farinet Lounge Bar and Apres-ski. They have moved onto something a little more grown up which is very exciting. The evening, for me, starts with some incredible sushi (my favourite food) in the restaurant and then onto some delicious and innovative cocktails in the bar for the rest of the night. It's definitely the ‘place to be’, this season. Q. 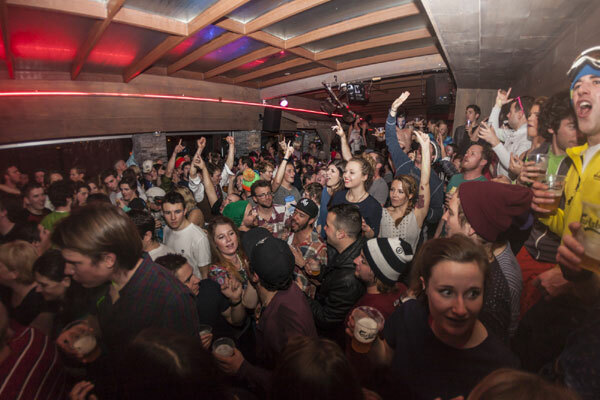 Which is the coolest bar for après? Can we dance on the tables? The Farinet Apres-ski on Verbier’s Place Central is internationally renowned for its live bands and, yes, dancing on tables. They have added a ledge above the bar, this year, so girls dancing on the bar can put their drinks somewhere where they won’t knock them over. Yes, only girls on the bar; boys have to stay down below. It gets pretty lively in there. My other favourite après-ski spot is Le Rouge which is at the bottom of Le Rouge piste. It has some of the best après ski in town and also a fantastic restaurant. What’s best is you can ski to it and roll home after without having to put your skis back on. Q. And where’s the best food on the mountain? What should we order? 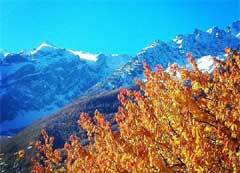 My favourite mountain restaurant is La Vache up at Attelas. Partners in the business are Rob Sawyer, Lawrence Dallaglio, James Blunt and Carl Foggarty alongside local, Christian Saarbach, so pretty likely you will see them up there at some point during the season. 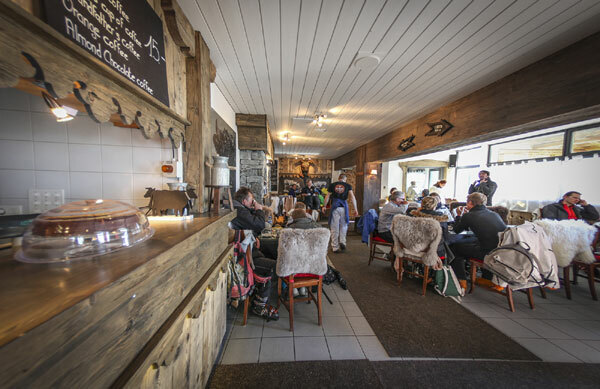 It has a great menu that is not ridiculously priced, nice décor and a fantastic terrace looking at the Mt Gele to the left and then the classic spectacular panorama of Verbier in front. I, personally, love their pizzas of which there’s a Dallaglio, a Blunt and a Foggarty. Marlenaz is one of my other favourite mountain restaurants. In the winter there is no access by car, so you have to reach it by foot or skidoo or a cool little snow taxi. It has a really cosy wooden interior and the staff really know how to look after you. As for the dish you should order, I love the Lamb Knuckle, but the Rostis (grated potato pattis with a variety of ingredients) are a close second if I’m going for a traditional dish. Like Marlenaz, the Marmottes restaurant (also a great spot) only has skidoo access and you have to sledge back to the resort. It’s amazing fun and always has me laughing top to bottom. 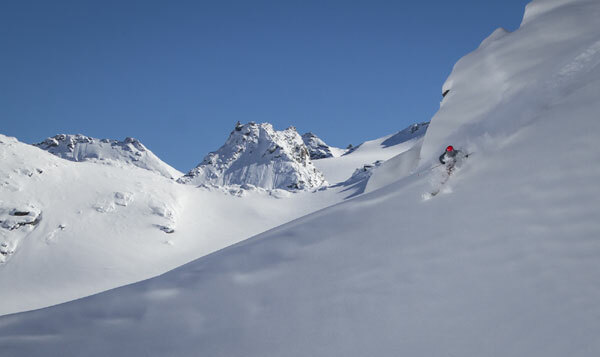 It’s also a must on a winter holiday in Verbier. Q. When is a good time to come? I love March as the snow is still good but it starts getting warmer and is usually sunny with a lot going on in the village. It’s a nice time to have visits from friends. Of course, all of the holidays in peak season are great times. The only drawback is everyone is here then. In February, the snow is usually really great but then there are a lot of people on the slopes with the school holidays. January is quieter and less expensive and usually has good snow, but not quite as sunny and warm. It’s always good for different reasons. Q. So where do you go on holiday? I am going to Sri Lanka on the run up to the start of the winter. My last few trips have been New Zealand, the Maldives, Bali, Cambodia. I don’t have too many holidays, though. Mostly they are photo or filming trips to which I add on some time to relax and explore at the end. I have so many places I would like to visit. I take proper holidays at my parents’ house in Scotland. I get really looked after there.